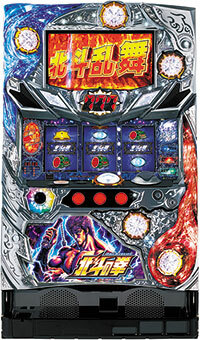 Today, we will be introducing a pachinko machine of “DD Fist of the North Star”, a parody manga of “Fist of the North Star”!! Even as a pachinko machine, it is filled with gags and jokes just like in the original manga!! There are renditions in which deformed characters of Kenshiro and others run around in the monitor, as well as lots of accessories such as “Ascension Vision” that jumps up from the bottom of the monitor!! 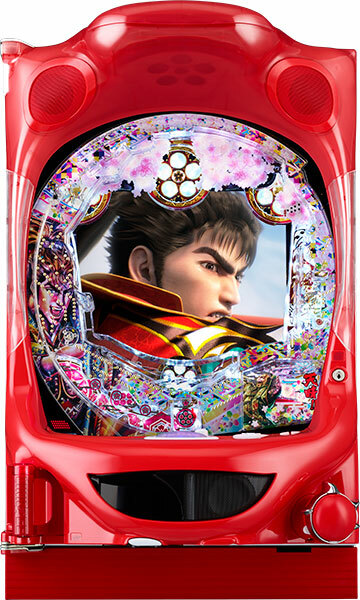 This machine could be the biggest rival of “Fist of the North Star” pachinko series! It is expected to make its debut in August!! Today, we will be introducing the latest pachislot series of a popular manga, “Fist of the North Star”. This ultimate pachislot machine, being the first release in 2 years, has collected all of the fun gaming nature of its pachislot series that it is even more powerful than ever. Also, this machine uses a new unique chassis called “the Savior”, and loaded “Lamp of the Big Dipper” accessory will sure to make renditions even more exciting!! Expected debut of this machine is September 7th!! Experience the battle of Kenshiro and his rivals at the parlor!! A spin-off of popular pachinko machine “Hana no Keiji” has been released!! Kanetsugu Naoe, lifelong friend of Keiji, is the main character of this machine called “Gifuu Doudou”!! Its original work is a manga in which retired Keiji recollects and narrates the memories of Kanetsugu. Player gets to enjoy the story of “Hana no Keiji” from a different point of view!! It is expected to make its debut on September!! Don’t miss it!! 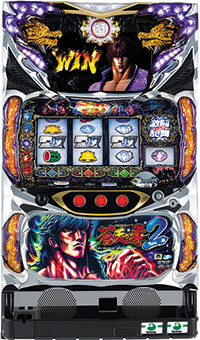 A pachinko machine we will be introducing today is “CYBER BLUE”, illustrated by Tetsuo Hara who is known for works such as “Fist of the North Star” and “Hana no Keiji”. Original work is a Sci-fi manga set in the year of 2305. Blue, a seventeen-year-old boy dies but gets an electronic brain of a work robot transplanted into him. Blue battles with numerous enemies as he evolves into new humankind, a Cyber Being. 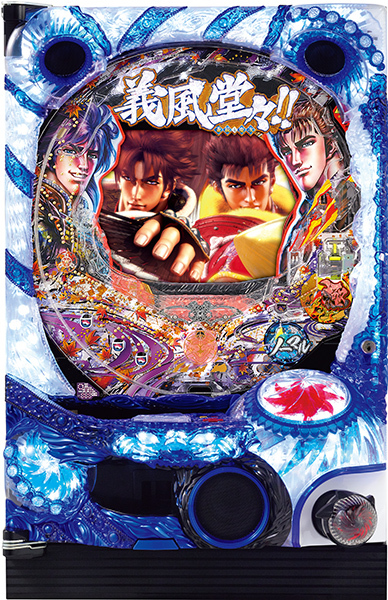 The main characteristic of this pachinko machine is to strengthen Blue before challenging a battle against an enemy. Strengthen Blue to his max and defeat all the enemies. It is already in the parlor you can go play it now. 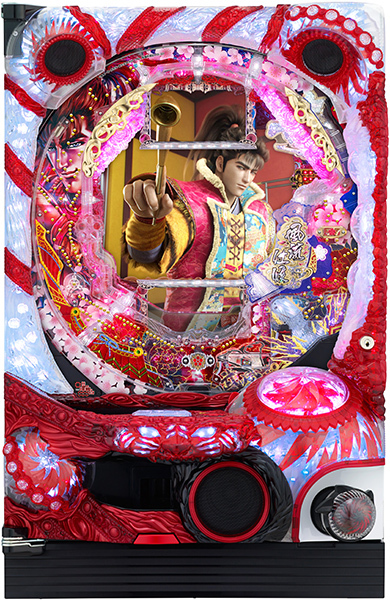 Today, we will introduce a pachinko machine called “Shin-Hana no Keiji”, already played popularly at parlors nationwide. Original manga is about Maeda Keiji, a real person of Sengoku period leading a riotous life. It is written by Tetsuo Hara, who is also famous for the “Fist of the North Star”. 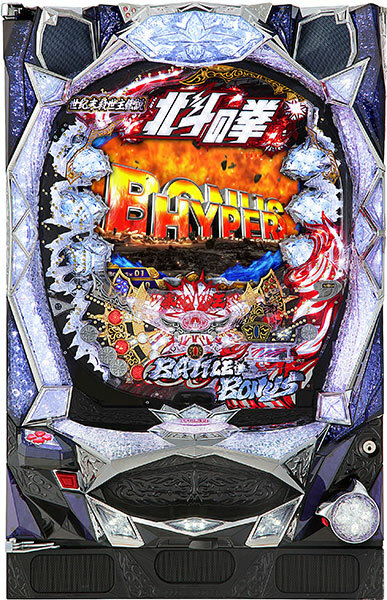 This pachinko machine, the 2015 version, is the 7th machine of pachinko. During a jackpot rendition, you get to choose a chapter you would like to play from the three following chapters; Chapter of Kaga, Chapter of Kyoto, and Chapter of Sado. Also, you get to enjoy 7 episodes within a chapter you choose. Get jackpots and complete all 21 episodes!! The latest installment in the popular Fist of the North Star pachinko series has finally come out! Fist of the North star celebrated its 30th anniversary in 2013 with the release of the parody “Fist of the North Star DD” as well as many other interesting things. This machine, Fist of the North Star 6, has doubled the amount of cutscenes since Fist of the North Star 5 (which we talked about before) so it’s really powered up! You can now choose the legendary Amiba as your ally in battle mode! Do you think Amiba can win against Toki?! 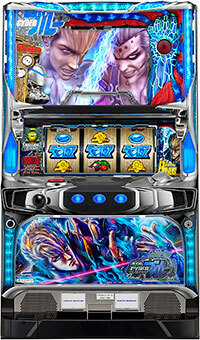 Go beyond just the original material, and experience Fist of the North Star through Pachinko! Today we will talk about a pachislot based on Fist of the Blue Sky, which was written by Tetsuo Hara who is famous for Fist of the North Star! The intense battle of the jackpot scene will surely get your heart rate going!! When the RaRyu-ban accessory comes falling down, you’ve got a good chance!! Also, in the super jackpot scene, a battle to the death unfolds with your long-time rival Liú Zōng-Wǔ!! Will you be able to see your favorite ending? The intense battles will start in June at pachinko parlors everywhere! !